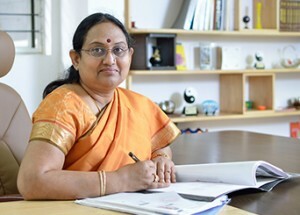 Dr. Sabitha Ramamurthy is a lady with a vision. She decided to pursue her father-in-law, Sri. Chikka Muniyappa Reddy’s dream – a dream of educating the masses. The CMR Jnanadhara Trust was started in 1990 and Dr. Sabitha Ramamurthy took over as the President of the Trust. The Trust started the National Junior School (now CMR National Public School). What was started as a modest school in a family-owned orchard is now a full-fledged CBSE schools that appends to its laurels every year. She did not cease her hard work and efforts with this prestigious school, and is constantly envisioning the growth of her educational empire. 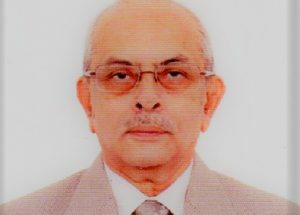 Mr. K. C. Ramamurthy brings decades of experience in education and public service. He has instituted values of integration across the CMR Group wherein multiple programs, courses, thousands of students from varied backgrounds and nationalities form a seamless whole. He nurtures all institutions in the CMR and Ekya bouquet, guiding them to keep pace with educational developments while staying in touch with rooted values. 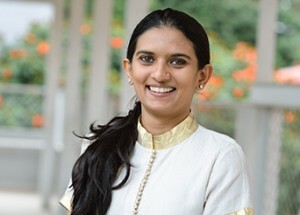 Ms. Ramamurthy founded Ekya Schools to bring pedagogically sound, research-based learning experiences to India. She spearheads K-12 initiatives under the CMR Group, overseeing state board, CBSE, ICSE and pre-university institutes, in total an overall student strength of 5000. She brings in cutting edge educational advancements through her exposure to the principles of Project Zero Classroom from Harvard University, inquiry-based learning from Reggio, Italy and design thinking from Stanford d.school. Ms. Ramamurthy holds a Bachelor’s degree from Singapore Management University. She has a Master’s from Stanford University School of Education, and is currently pursuing her Doctorate in Education from Kings College London. Her past research has focused on topics including educational equity, teacher motivation, education policy and curriculum construction. Professor M. S. Shivakumar graduated in Engineering from the former Karnataka Regional Engineering College (KREC), Surathkal, (now known as National Institute of Technology- NITK, Surathkal), before pursuing an M.Tech. in ECE from the Indian Institute of Technology, Madras. Professor Shivakumar holds a PhD from the Indian Institute of Science, Bangalore. Professor Shivakumar began his career in academia nearly four decades ago, as faculty at the College of Engineering, Mandya, before being selected as Professor and Head of the Department of CSE at The National Institute of Engineering, Mysore. He then held the position of Principal and Chief Executive Officer of NIE, Mysore, before serving as the Registrar of the Visvesvaraya Technological University, Belgaum. 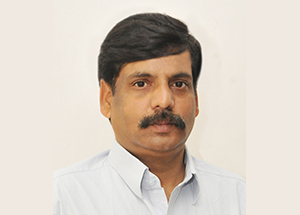 Before joining CMR University as Vice Chancellor in June 2017, Professor Shivakumar was also principal of Atria Institute of Technology, Bangalore and Professor of CSE at Vidyavardhaka College of Engineering, Mysore. Dr. Reddy is currently Director at CMR and Professor of Management Studies. He is responsible for delivering the educational affairs and activities of the Group. He provides leadership to deliver the strategy with oversight of its implementation and monitoring by providing periodic reports to the Chairman, President and management committee of CMRGI. Apart from liaising with various educational agencies of State and Central Governments, other key aspects of Dr. Reddy’s portfolio include widening participation, administration, student recruitment and employability. He maintains a close partnership with students and focuses on enhancing the quality of their experience. He provides academic and administrative leadership to the Principals, Directors, Deans and other academic heads, upholding CMR’s standards of quality education. 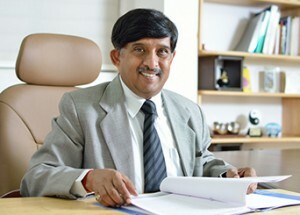 In the past, Dr. Reddy has held several leadership positions at various reputed educational institutions in Bangalore. He holds an M.Com, MBA and a PhD. His academic research focuses on how to Index Marketing Performance (IMP).